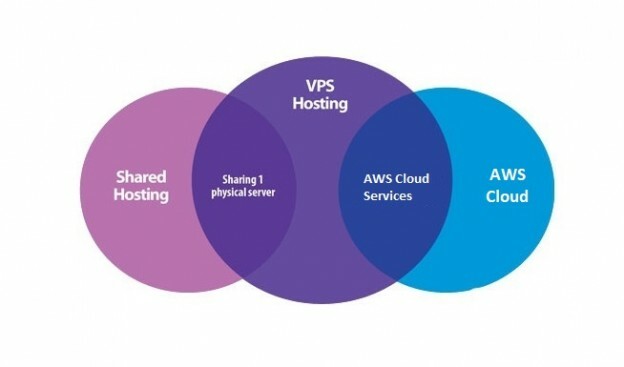 For those who are keen on web development and launching a website, understanding the differences among AWS or public cloud hosting, VPS and shared hosting are very important. You will need to consider the option which is best for your site and preferably choose an option which is the most cost-effective. Shared hosting refers to a hosting environment in which the server resources are shared by many websites. So, in shared hosting, you will be provided with a machine which can give the software that can run a site, database management systems like MSSQL and MYSQL, languages like PHP and Java etc to many users by dividing the resources. So, it is even possible to host as many as 100 websites according to the server capacity. 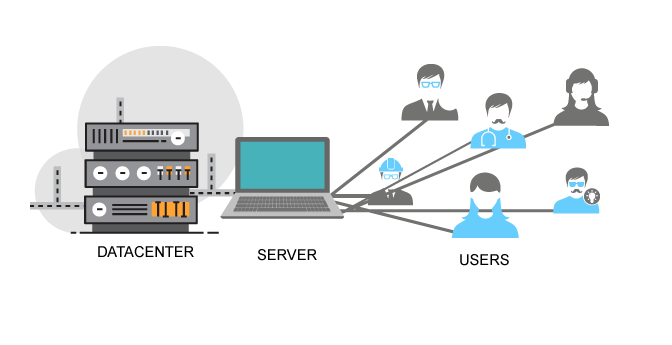 What is shared hosting all about? Shared hosting is perhaps the cheapest hosting option available to businesses and one can get the plans for as less as $4 every month. 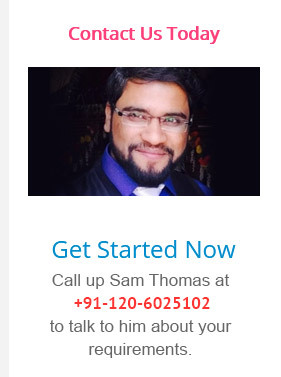 This makes it the perfect choice for start-ups and other small businesses which do not have a big working budget. In shared hosting, you are relieved of the responsibilities of server functioning since the host will be completely responsible for this. Usually the shared web hosts will offer cPanel which is a very user-friendly interface allowing users to manage their site content easily. The cPanel also makes it super easy for the users to manage files when they do not have SSH knowledge. The downside to shared hosting is that the users will not be given root access to the servers as they will be shared by many users. So, you will not be able to deploy custom applications or software on this server to suit your business interests. At times, when the site gets very high traffic, there may be resource overloading and consequently the site starts to display error messages. This may even lead to the web host taking down the site for the time being so as to stop other sites on that server from getting affected in the process. 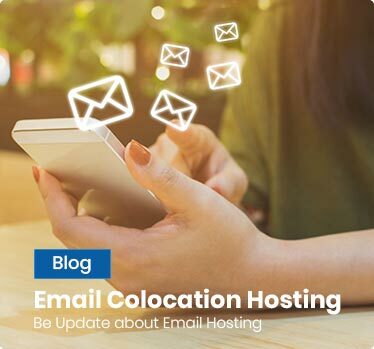 Shared hosting is therefore for individuals who are still in the process of learning site development and are not keen to take up the responsibility of installing a server independently. The VPS is something in between dedicated hosting plans and shared hosting plans; it works like an isolated independent server that has been provided to clients and clients have root access. So, they are free to use it according to their wishes. Most hosting companies will offer single-click installations for VPS servers; alternatively, you can choose custom installations whereby you will be able to set it all up on your own. The VPS hosting plans are slightly more costly than shared plans, amounting to around $10 a month. Users have the right to reboot or restart the servers and they may install custom software. VPS users cannot typically stop the virtual server unless their subscription is over when their host will automatically shut it down. Users can not only install custom applications on a virtual server; they can even install WHM as their control panel and host multiple sites on VPS servers. Since cPanel is a service for which you must pay, users will need to pay extra to get it besides their hosting charges. 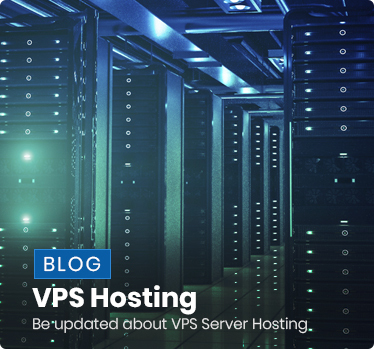 The biggest advantage of VPS hosting in comparison to shared plans is that since specific resources are allocated to users, they will automatically make the site faster. The downside to VPS hosting is that you may be expected to take charge of security measures when you choose unmanaged VPS solutions. When the site traffic puts too much pressure on the resources, you may find it hard to get resources arranged in real time. What is the Virtual Private Cloud all about? The VPS is different compared to shared hosting on the one hand and VPS hosting on the other. Here, resources are always available on demand in real time. So, it is like the VPS server except that this server will have access to a huge resource pool which is powered by multiple servers making up a cloud. In the VPC, the resources are not limited to one physical location. While you may be given a particular configuration, you can always get more resources to cater to increased traffic. These resources can be got in real time and your server performance will not be affected in any way. For instance this is what is known as Elastic Load Balancing in AWS. Virtual Private Cloud are much costlier than the other two afore-mentioned options, starting from about $1000 a month. In VPS, users will also have the freedom to switch the servers off and turn them back on when needed. So, it can be a great way to save money when you are not using the server. Expanding the site on VPCs is much simpler because you enjoy elasticity. The VPC can even guarantee 100% uptime. This entry was posted in VPS Hosting and tagged aws cloud hosting, vps hosting, vps hosting services on November 20, 2018 by Madison.